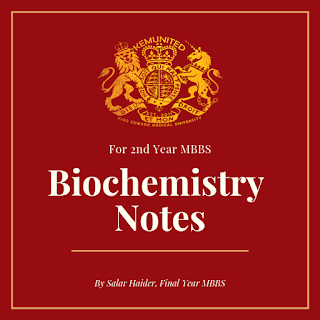 These concise yet comprehensive notes will help you review and revise extensive units like Carbohydrate Metabolism in the minimum possible time especially if you have given one read to these chapters from Lippincott before.They really helped me in send-ups, prof- written and vivas when I was short on time. Best wishes! This is a short compilation of all the resources for medicine viva and ospe 2018-19. Click on the links to view the files. We all are. Some express it, some don't. What IS Cherophobia? The fear of happiness. How does an oxymoron like that work, exactly? Ask those who go through it every instant, every moment, every single breath. Man strives for happiness, for contentment. But what if one's own goals were to become his shackles, his nightmares? What if the calamity keeping him up at night were to be the very thing he's always strived to achieve? What if every single moment you felt joy instilled a deep fear in you, hit you with a sudden realization that euphoria is forever transient, never permanent. In words of a lay man, you could call it a "curse" perhaps. You are reading this document which means you are done with giants of Pathology and Community Medicine already, so my heartiest Congratulations to all of you for slaying the two big monsters of fourth year and you are hopefully unscarred as yet. Welcome to the warm arms of Ophthalmology. We hope to provide a soothing balm to your stinging burns (if any left over from your patho/cmed encounters). Ophthalmology is relatively ignore-able subject and we all are guilty of that. All the examiners in the vivas are there to pass you, until you by your sheer will and desire blunder for a supplementary. Still, we try out best to rid us of you people in the first go. Following are the salient points for you to follow in your viva. The history and breakdown schematic presentation of methods to follow are as under. And to those who didn't make it, this blog is for you. I know that coming in to King Edward, most of have been toppers or high achievers all our lives. Failure is a word usually unbeknownst to us. But med school often changes that, and once in a while, anyone can fall behind in a substage, stage or test. But failure in a professional exam is a truly jolting experience, and it cannot be compared to failing a mere substage or test. "Supplee" is a word that can turn your world upside down. I won't tell you what others might be saying, that "kuch bhi nahi hoga, ye time guzar jae ga, pata bhi nahen lagay ga". Because I know it, guzar tou jata hai lekin pata zaroor lagta hai.